With over 22 years of experience in shipping, you can be sure your relocation experience will be worry free and reliable. Customer service and support is outstanding. Capitol Transport and Logistics is known for providing superior levels of integrity and quality in the car shipping industry. They do the job right every time, and are dedicated to solving all of your transportation needs whether you need domestic auto transport or international car shipping services. Repeat customers know they can rely on Capitol Transport and Logistics. Capitol Transport and Logistics provides both nationwide and international door-to-door service for both private individuals and commercial clients. Their team of highly experienced operations and sales executives provide economical and reliable solutions for all delivery requirements. Their experienced customer service staff is happy to help you with your unique transport needs. 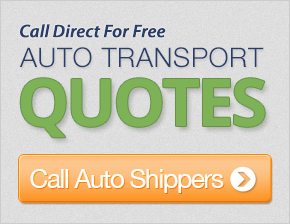 They are happy to help guide you through the car shipping process from start to finish, and they look forward to hearing from you. You may simply fill out a free auto transport quote here at CarMoves.com to see how much you can save. Very professional and friendly personnel. Everything went very smooth and I was kept in the loop concerning my vehicle from start to finish. I would not hesitate to use this service again. Thank you very much everyone! You guys could not have been more helpful. You answered all my questions without hesitation. The car was delivered earlier than promised and in good condition. If anybody asks I will recommend your services. A fine experience. I had one small payment issue that was resolved in 5 minutes on the phone. Very friendly service. The car was picked up within 2 days of the estimate and arrived 4 days ahead of the estimate in fine condition. Thanks for what you do. Customer service agents were prompt in answering my questions and sending out the email price quote. I contacted many different companies before selecting yours. I was unable to make my deposit for shipping, as I was in the middle of traveling, but was still allowed to have someone drop my vehicle off in Avondale. I then made the deposit online when I got home. The entire experience was pleasant. Thank you! The driver was very courteous and plesant. Very professional and just a nice person. The service was excellent! I would say my overall experience was good with your company. Every time I talked to someone they were great and really helpful. Everything was great. If i ever need to transport again I will most certainly use this company! The service was good based on the actual carrier, not the broker. Your company was great for the most part. I would do business with you again. The car was here earlier than expected, which was nice. The service was good and all my queries were answered properly. You did an excellent job of staying in touch with me from Florida to Maine. The whole experience was a nice one. Thanks!